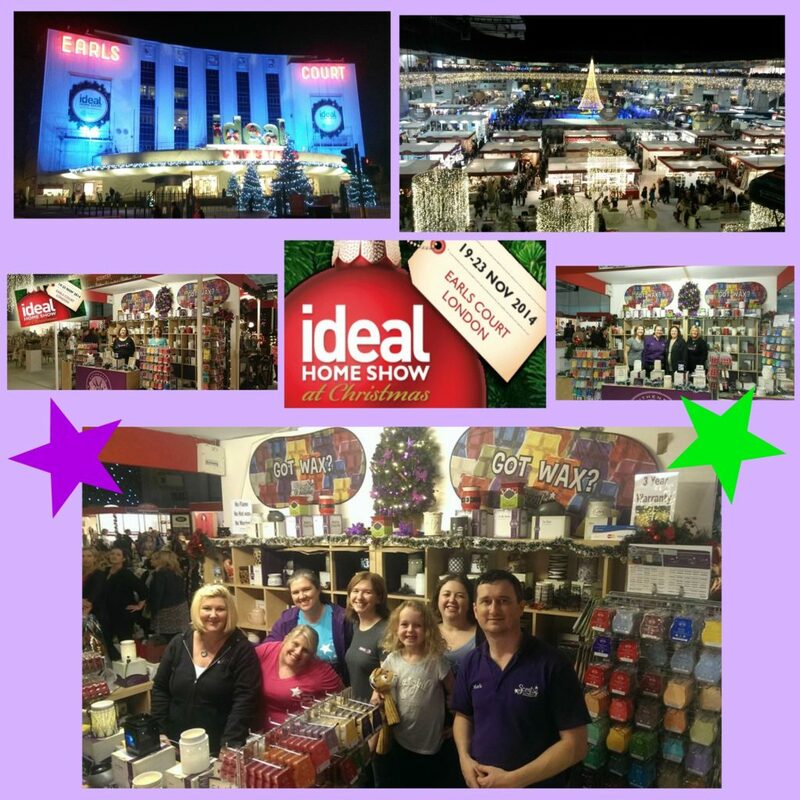 I am so so excited, after months of planning, the big day is finally here when we go to Earls Court, London to set up for the Christmas Ideal Home Show 2014 which starts tomorrow! 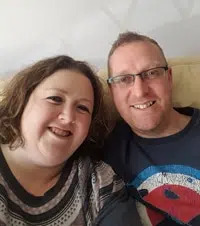 Myself, along with four other Independent Scentsy Directors, Liz Barnes, Claire Tilley and Jo Dumbleton (along with some other consultants), are going to be at the show all week, bringing Scentsy to the thousands of visitors who will come through the doors this week! Scentsy will be at stand 1M120 near to the ice rink so please come down and say hi! 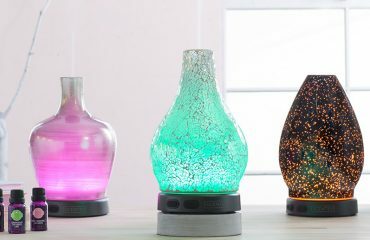 When you visit one of the showrooms there, be sure to keep your nose open for a Scentsy warmer! I will be posting pictures throughout the next couple of days on my Facebook page, so please visit and like! 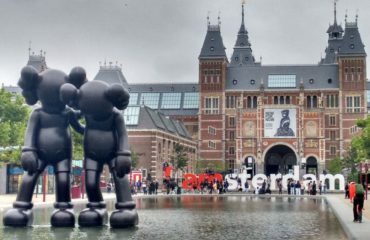 I thought I would do an update on this blog, following our fantastic 5 days at the show. Well, to round it up in a few words, I have never had so much fun being at work! I arrived Tuesday afternoon, amid all the traders setting up their stands, very different for the smaller scale events I am used to. The atmosphere was electric! Our stand was in an amazing position, right next to Greg Wallace’s restaurant which was stunning with the most beautiful hanging chandeliers. The doors opened to the public on Wednesday and visitors were treated to the delicious fragrance of Blueberry Cheesecake -it was so great watching people following their noses to our stall. We had a lot of people who had either heard of Scentsy, or the electric warmer concept, together with lots of people who had a Scentsy warmer already. We rented a flat nearby and it was so good to have a little girlie time in the evenings, albeit me desperately trying to keep my eyes open as I am 23 weeks pregnant! I can honestly say, hand on heart, I enjoyed every minute. 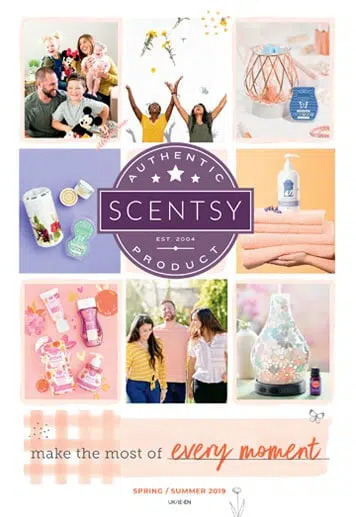 We introduced Scentsy to so many people and everyone loved the concept of no-flames and the fact that you can’t burn yourself on the wax once it had melted. I heard so many stories of people who had once used tea-light burners but the wax spitted when hot and so now they no longer use candles at all. Another common story was parents not wanting their teenagers having candles in their bedroom in case they fell asleep with them still burning, or students who couldn’t use candles in their accommodation at University. There are so many advantages to having a Scentsy warmer and last week just reinforced my confidence in the product. I worked at the show on Wednesday and Thursday, although I was desperate to stay! On Sunday, the last day of the show, I took my husband and little girl up to the show so she could see where mummy had been working. She is quite used to come to events with me (another reason why I love Scentsy! ), but this was so different to anything I had done before I wanted her to experience it. She was fascinated by the “snow carpet” throughout Earls Court (they really did create a winter wonderland) and even got a cuddle from Father Christmas. We also treated ourselves to a meal in the Greg Wallace restaurant which was gorgeous! The highlight of her day was sitting in a corner behind the stand and watching the girls working their Scentsy magic. 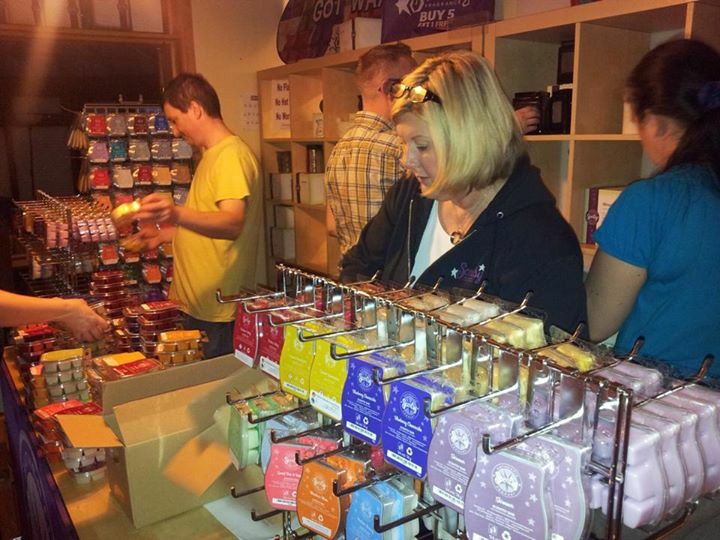 Scentsy truly is a family business.